All Points East is back for 2019. In the build up to the ten-day event between 24 May and 02 June, the festival is running a number of events to ensure its works with the community as best as it can. This business fair is an opportunity for local businesses, operators, suppliers, and performers to express interest in this yea’s festival and become officially involved. 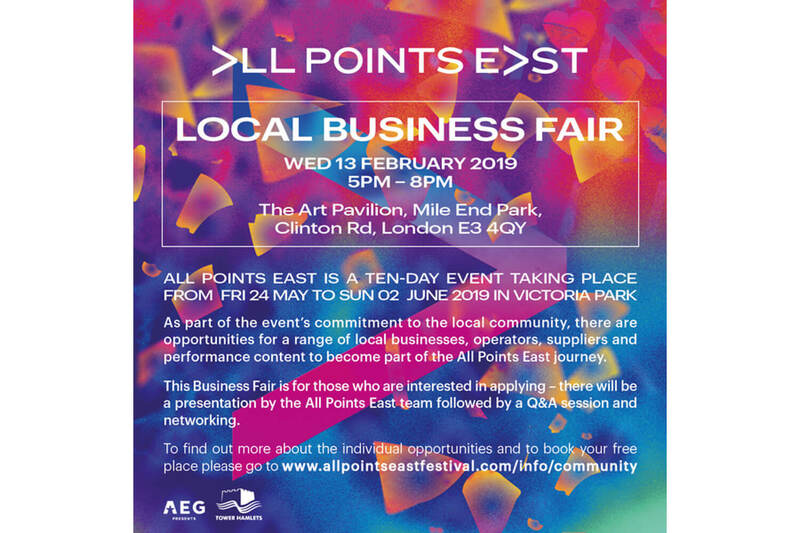 There will be a presentation by the All Points East team followed by a Q&A and networking.